After independence in 1960, nine years of stability in Somalia were followed by assassinations, a coup, and a war with Ethiopia. This led to a power vacuum in Mogadishu, exploited by clan-based militias from 1991, rendering the country unable to respond to the 1992 famine in which 300,000 people died. Meanwhile, in the north, the secessionist democratic state of Somaliland was formed (1991) followed by the semi-autonomous Puntland state (1998). Both remain relatively stable, but lack international recognition. 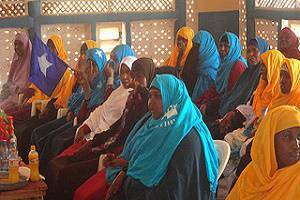 In 2006, two years after the Transitional National Government was replaced by the Transitional Federal Government (TFG), a collection of Sharia courts called the Islamic Courts Union (ICU) took control in Mogadishu and parts of the south. However, in December, the TFG, with Ethiopian and African Union support, took back this territory. The ICU youth movement Al-Shabab then emerged to push back the ‘foreign invaders,’ eventually securing large parts of Mogadishu and Baidoa. The group later affiliated itself with Al-Qaida. During the 2011 famine and humanitarian crisis, Al-Shabab withdrew from Mogadishu. The TFG and AMISOM consolidated and regained key southern towns. In 2012, the elected Federal Government became the first internationally-recognised Somali government in 22 years and in 2014, declared victory over Al Shabab. However, Al-Shabab’s expulsion allowed it to regroup and launch attacks throughout 2015-2017. This has prompted newly elected President Mohamed Abdullahi Mohamed to declare Somalia a ‘war zone’ welcoming the increased presence of foreign militaries. Suffering in Somali is expected to grow, with the UN warning of imminent famine.